I’ve blogged about Gumbo (the same branch here in Robinsons Manila) twice already, but when I checked the dates, the more recent one was 5 years ago. I couldn’t believe it at first, so I started browsing them over again. Then it felt like those pictures, those moments were just “months” ago. I paused, and I stopped having hesitations. Right there, I decided that I'll write a new blog post about this restaurant. After all, opinions change and newer memories are worth writing about. 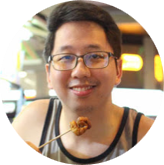 In this blog post, I’ll be sharing with you about how this place became home for some of our great family memories and how “emotional” I got dining in this place. Remember the movie Cars? There was this town called Radiator Springs — all fun and basking in glory until a new route was constructed. Slowly, there were fewer cars passing by, and eventually none. It was a sad scene, and I’m even guilty of getting teary-eyed. I felt the exact same thing when we came here in Gumbo. Only a few people were there. Dining tables were lessened. Chairs for those who were supposedly queuing are gone. I missed the old cheerful vibe of the place. I remember the times when you could hear the roars of laughter and the excitement from the chit-chats. We have tons of memories made and celebrated here in Gumbo -- birthdays, anniversaries, celebratory lunch/dinner and casual family dine-ins. In other words, Gumbo has become a significant part of our lives, and seeing it gone (which I pray it won't) will definitely leave a dent on our hearts. I am aware that there are constant changes and "upgrades" in the beautiful world of food, and perhaps Gumbo staggers in keeping up with the trends. But hey! 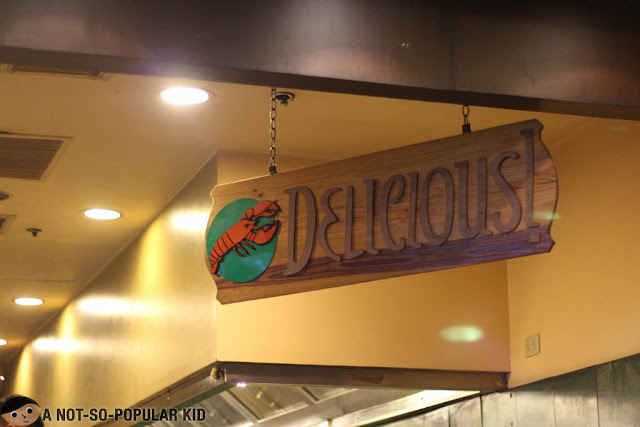 They still have amazing dishes here, plus I find beauty in enjoying dishes built for the palate and not just for cameras, I'm writing this post because I'm hoping that foodies will be able to re-discover Gumbo once again, and maybe, just maybe, we can continuously make more memories in this place. Anyway, I'm cutting short my drama here, and let me talk more about how the food here remained to be ever-awesome! Before I used to say that Gumbo seems pricey, but that no longer applies because compared to newer restaurants, Gumbo's prices seem reasonable. 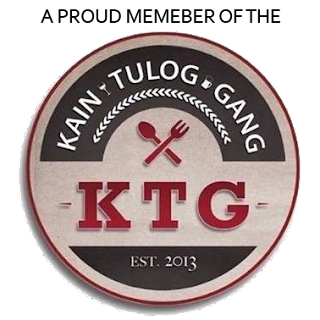 Plus, they always have the P999 promo which entitles you to 2 appetizers and 2 main dishes, which are already good for 3-4 people. 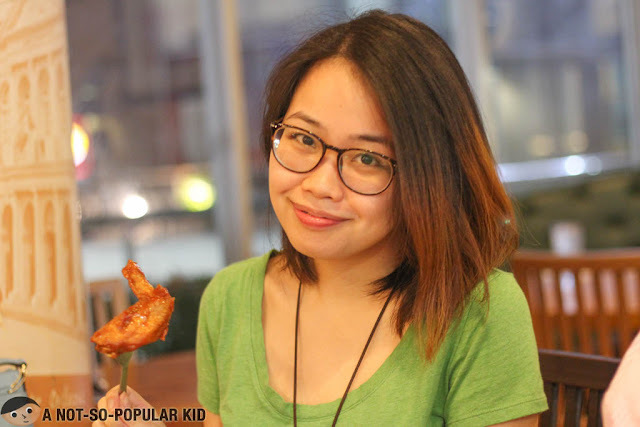 Hence, you'll just need to pay approximately P275 each (service charge included) when you come in 4. Anyway, since we are thrifty whenever possible, we availed the promo. 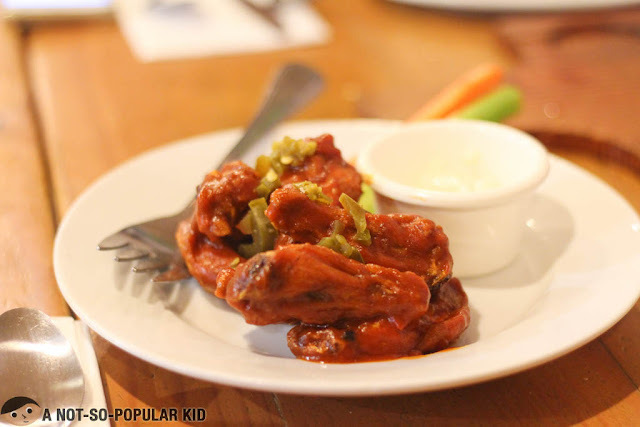 For appetizers, we had the Buffalo Chicken Wings. When ordered separately, this will cost you P375. This dish was amazing especially with how the sauce was rich in smokey flavor. It also had the right kick enough to work up my appetite and buds. On top of this, the bleu cheese dip was to-die-for. It didn't have much "fillers" compared to other restaurants, and we were able to taste the potent taste of the bleu cheese -- the way it should be. 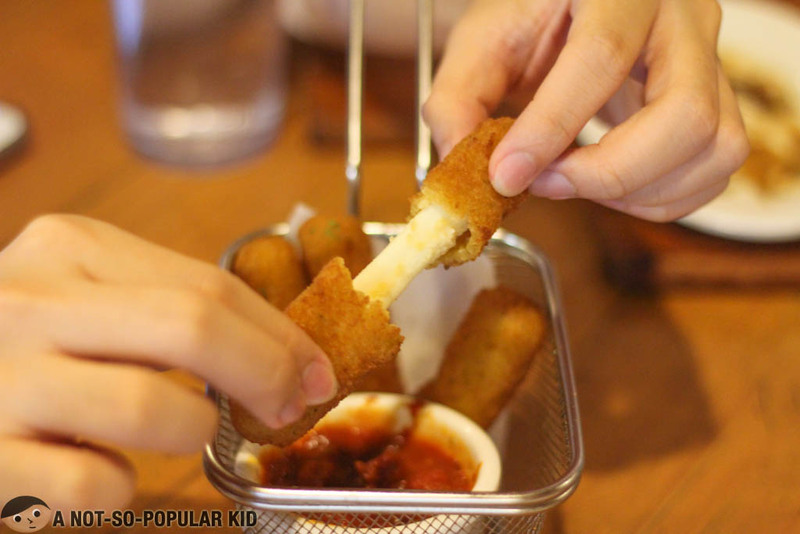 For the second appetizer, we chose the Mozzarella Sticks which costs P295 when ordered separately. While I loved the crisp texture of the sticks, the mozzarella cheese inside didn't seem to have reached the optimal "gooey stretchy" state. It was slightly chewy but still enjoyable. All thanks to the dip which was the redeeming factor. It was fresh, pulpy and rightly sweet. Two-thumbs up for the sauce! 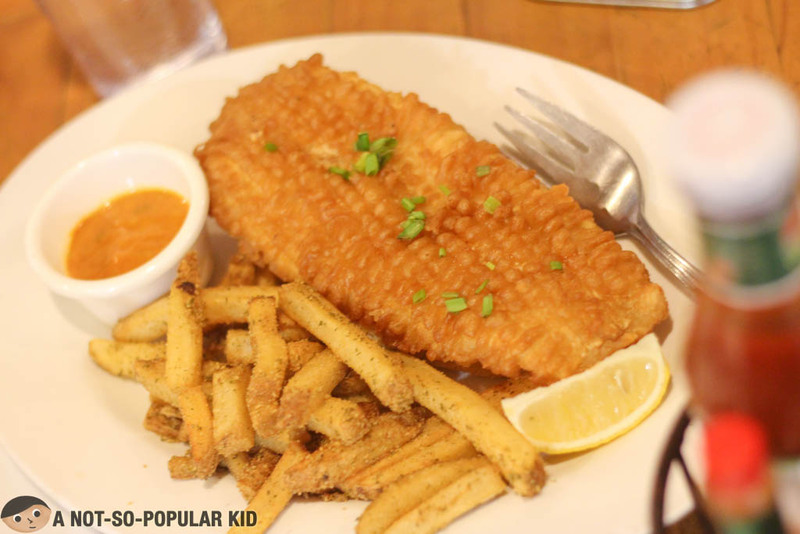 For the main dishes, we chose this White Fish with Mango Salsa (P395). My mind (or my palate rather) was completely blown away! I didn't expect the fish meat to be so tender that made it appear all smooth and creamy. Plus, the mango salsa that went with it was gold! It was a fantastic blend of mustard and mango that gave more character to the fish! Uh-mazing! 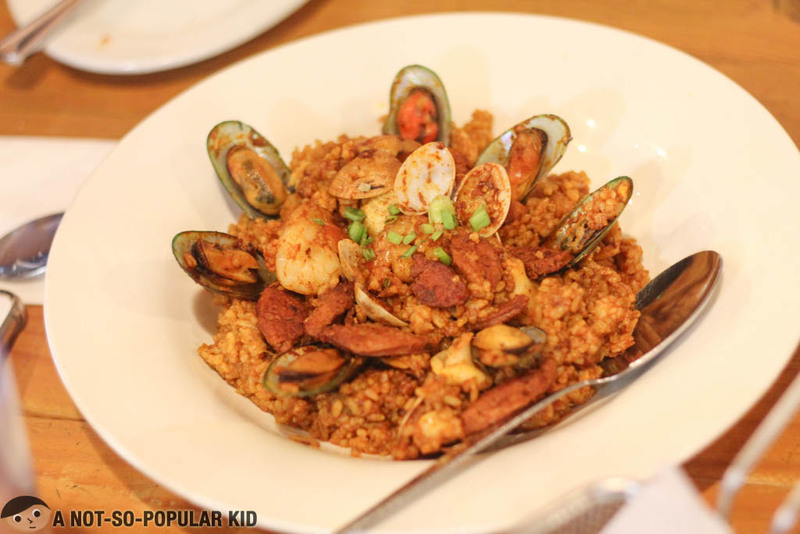 The last dish we had under the P999 promo was the Seafood Jambalaya (P395). This is an epic classic, so if it's your first time in Gumbo, I highly urge you to give this dish a try. 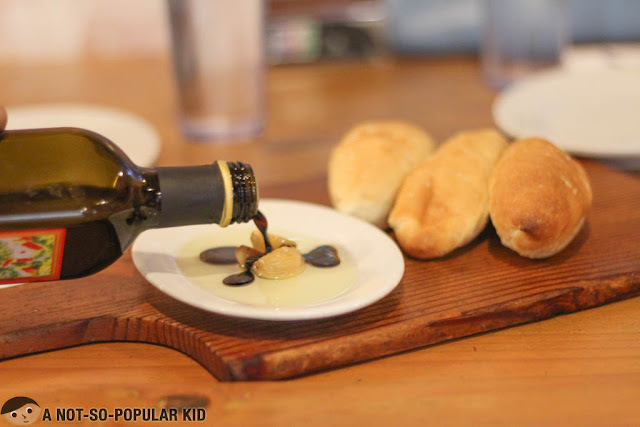 The spices may not appeal to the traditional Filipino taste buds, but if you are an adventurous foodie, you'll definitely fall in love with this. It has a strong distinct seafood goodness that bursts in each spoonful. Plus, there are ample serving of meat and seafood! 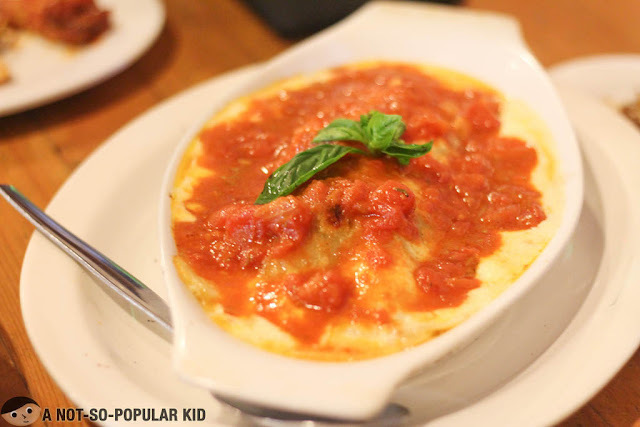 The Baked Lasagna (P575 - Grande) is a classic family favorite here in Gumbo. This is why we made sure we'll be having this one during this visit, and as expected it certainly did not disappoint. We loved the fantastic combination of the fresh pulp of tomatoes, the gooey mozzarella cheese and the tasty meat between the layers. The taste was pure and potent (cradled with subtle sweetness), and it had a mix of oil that further enhanced the flavor as it landed on our palate. More than 5 years may have passed, but I'm still impressed by this dish! Gumbo has always been a special restaurant for me, and though the food scene might have changed over the past years, this restaurant remained to be home for amazing New Orleans cuisine! 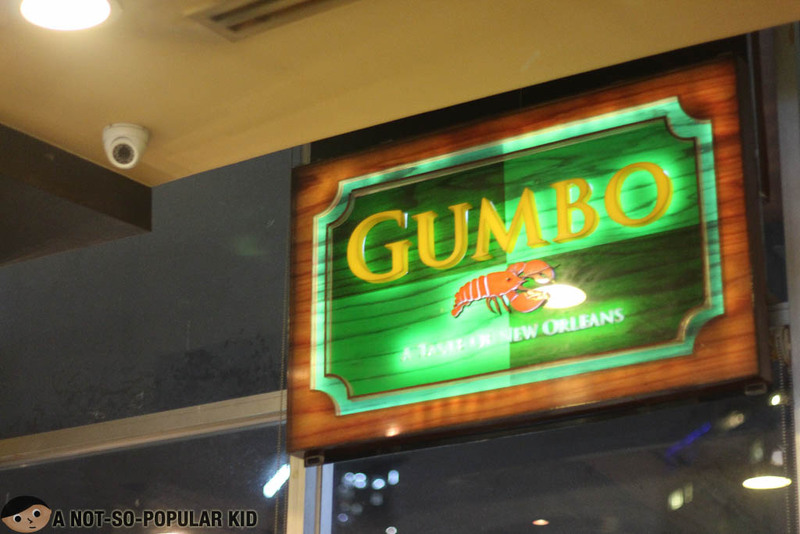 If you are a seafood lover, or someone who likes "richly spiced" dishes, you'll really love it here in Gumbo. Also, I suggest you take advantage of the P999 promo because you'll be able to really get the most value. 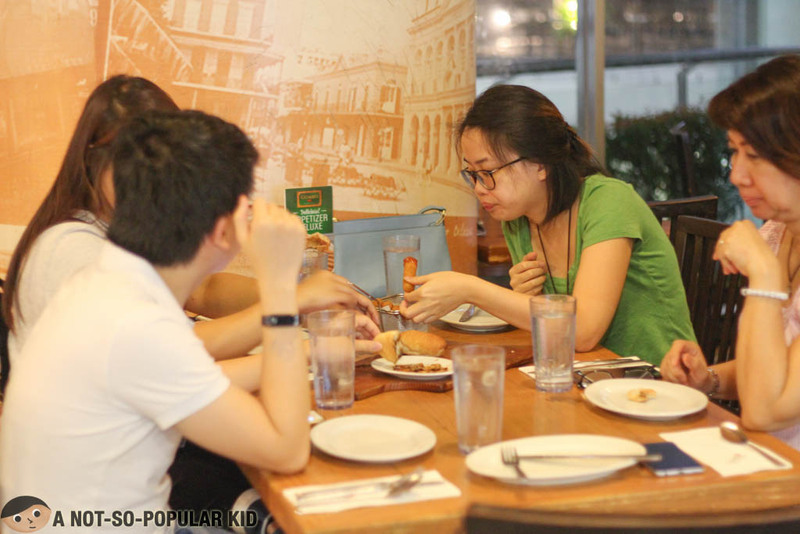 If we chose to order what we had separately, we would have paid P1,460. That's almost P500 off. Anyway, Gumbo is part of my "Hall of Famers", so I'm very much recommending it!